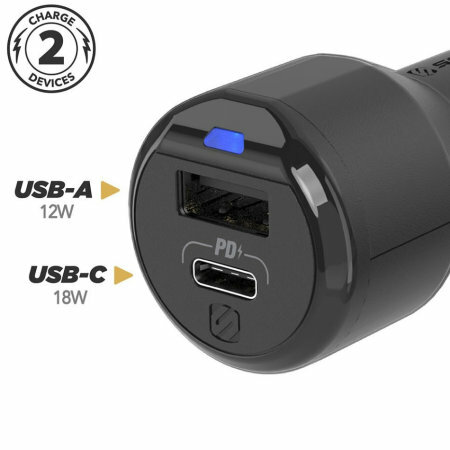 The Scosche PowerVolt 3.0 features a 12W USB-A port and an 18W USB-C port for super fast charging. 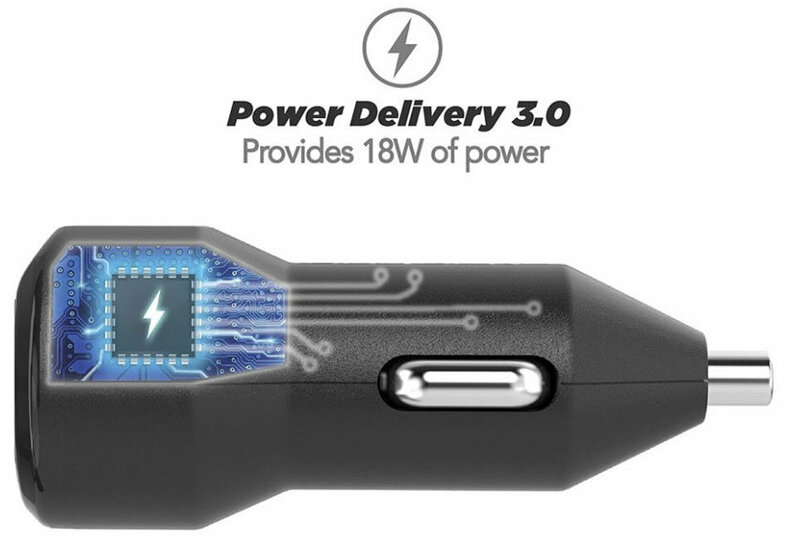 Compact and sleek in design, the PowerVolt is easy to carry with you and includes Power Delivery 3.0 so your devices will never go without charge. 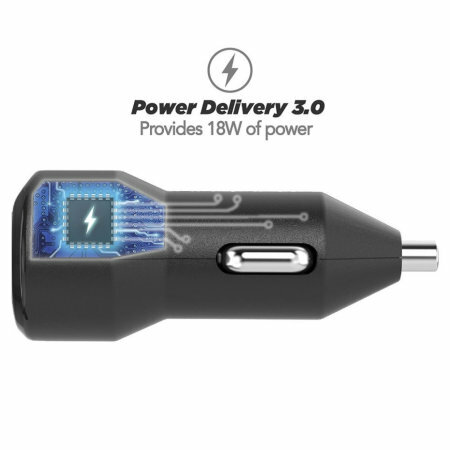 Designed to keep your mobile devices fully charged when commuting or during long car journeys, the Schosche PowerVolt Dual USB / USB-C car charger features an impressive 30W total output which ensures that even your tablet devices such as an iPad have sufficient battery life. 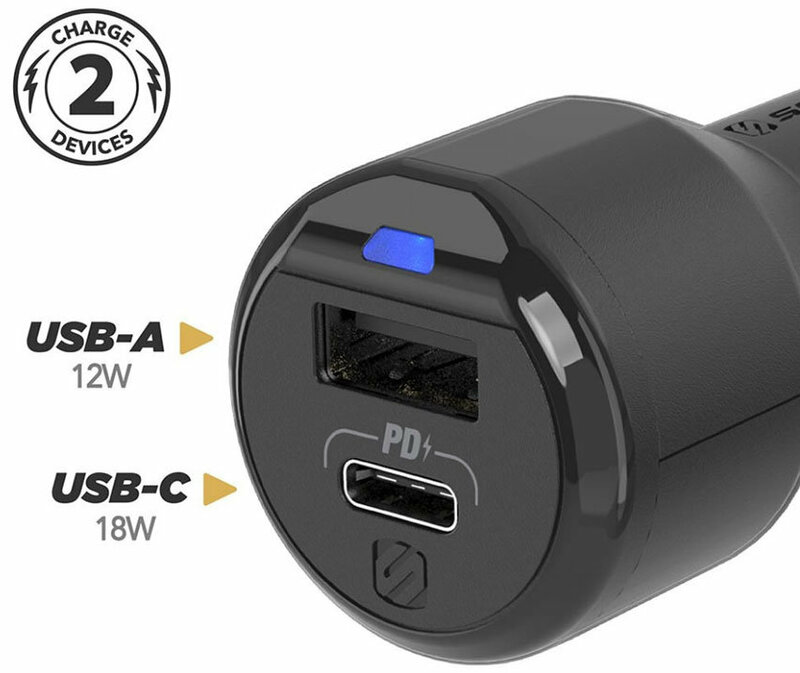 As the PowerVolt features 12W USB and 18W USB-C ports, two devices can be charged rapidly at the same time, including two iPads or a tablet and a smartphone. The USB-C port features Power Delivery (PD) 3.0, which allows you to charge your smartphone, tablet or any other USB-C device to 70% in just 30 minutes. 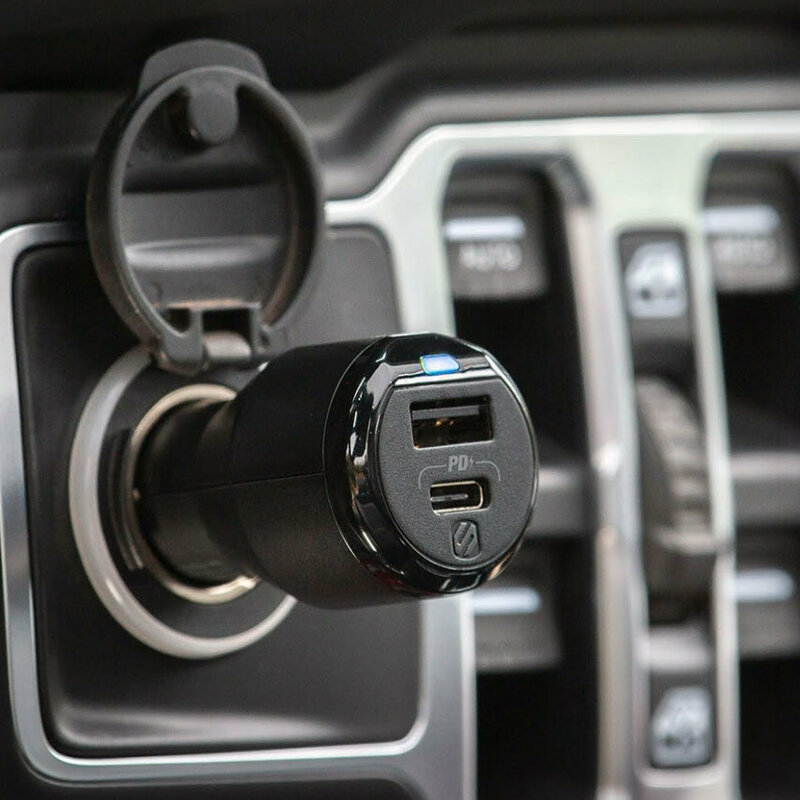 Providing up to 3X more power than a standard car USB port, this car charger will ensure that your battery is charged and ready to go in no time at all. The small and discreet design means that this car charger is easy to swap between cars and it's easily stored away for when you need to use it. Additionally, the charger is manufactured to the highest possible quality and includes reliable over-current/over-temperature/short-circuit protection when in use. The PowerVolt can be used with almost any gadget which can be charged via USB and so it can be used to charge mobile phones, tablets, sat navs, Bluetooth devices, iPods, MP3 players, handheld game consoles and much more. 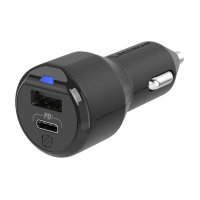 It is also compatible with both Apple iOS and Android devices. All you need is a standard USB or USB-C charging cable and you're good to go!